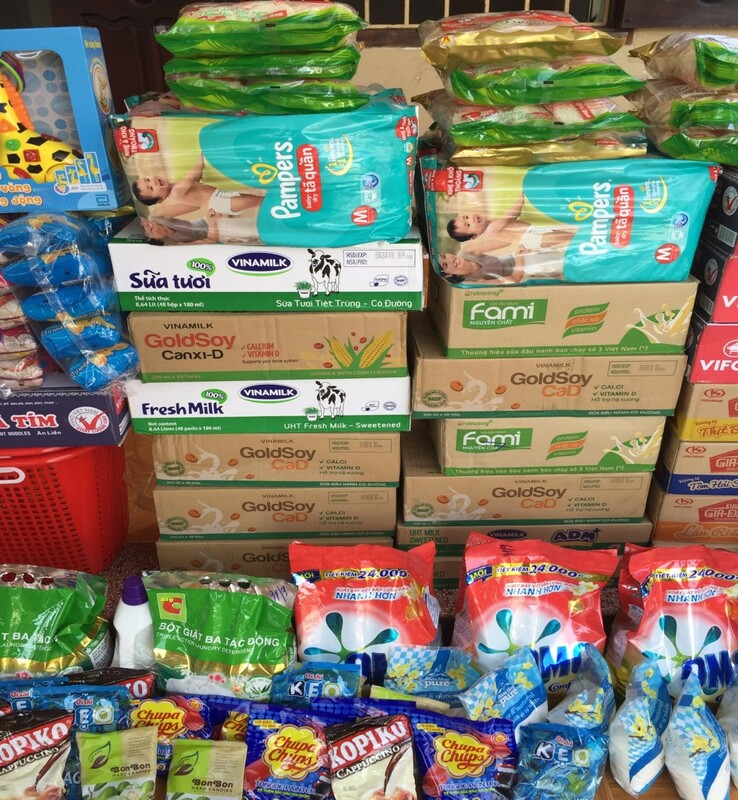 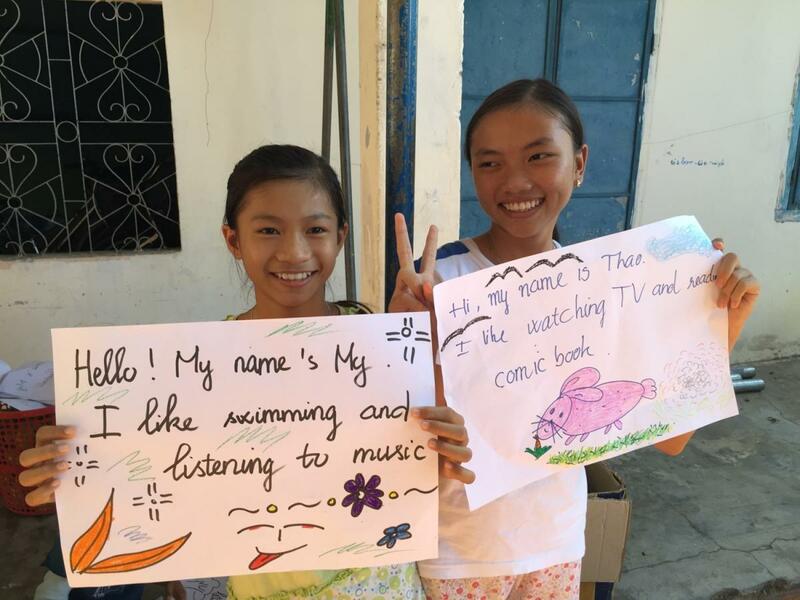 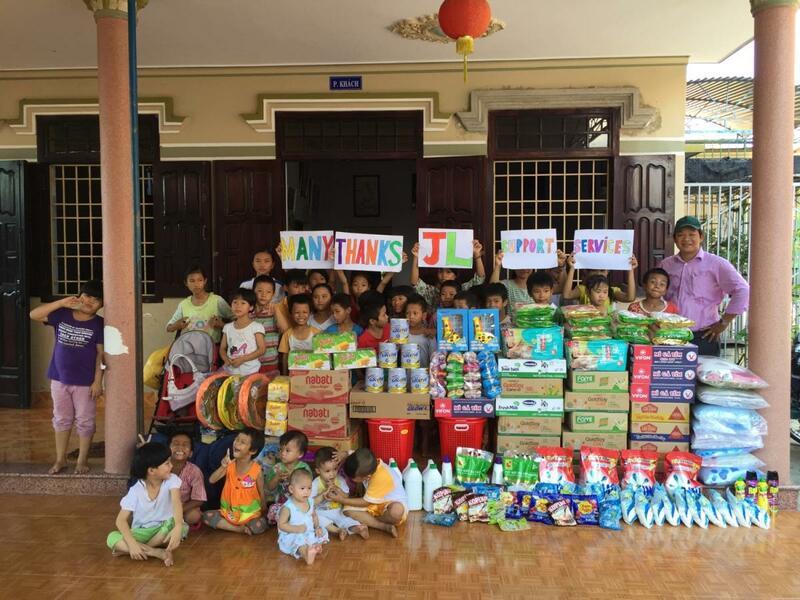 On June 1, 2015 we made a visit to the Mai Am Anh Dao Orphanage with lots of food and general goods. 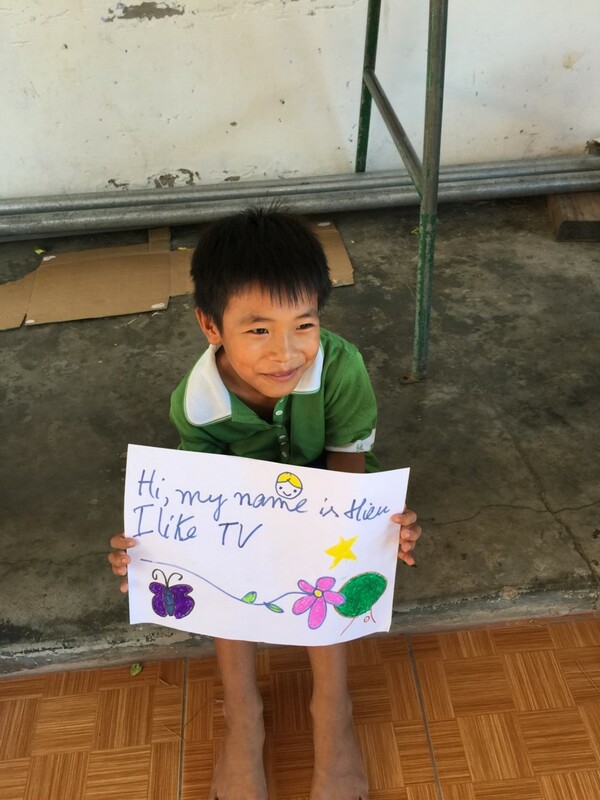 This was made entirely possible through the kind donations of JL Support Services. 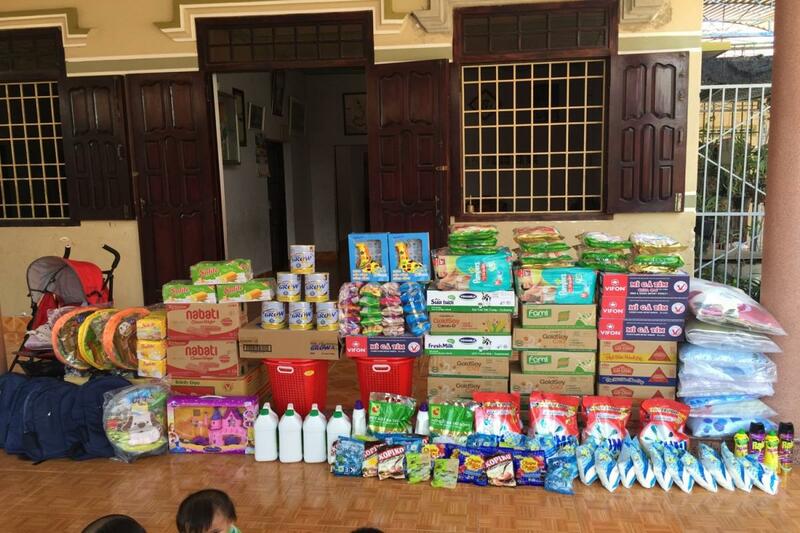 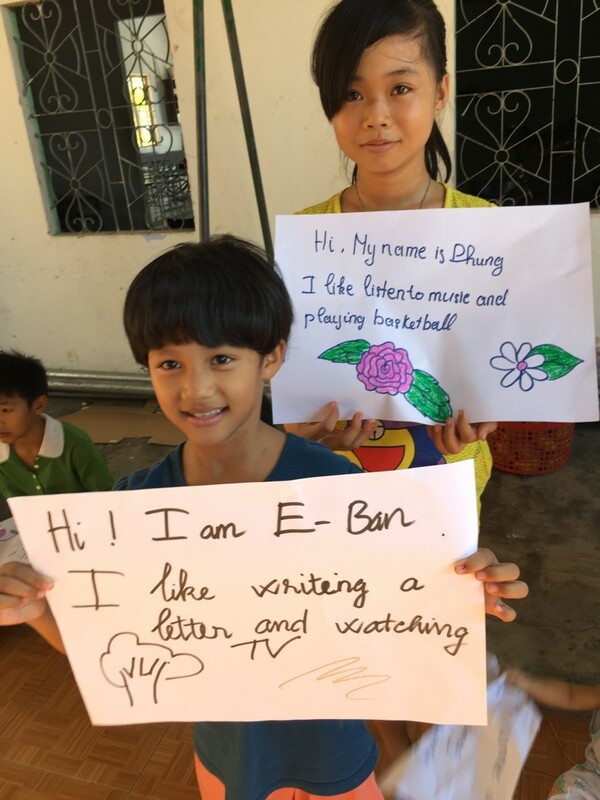 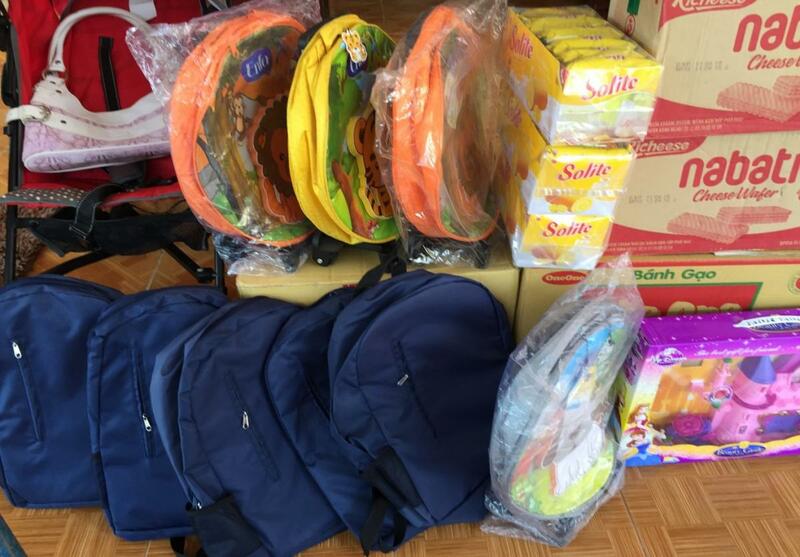 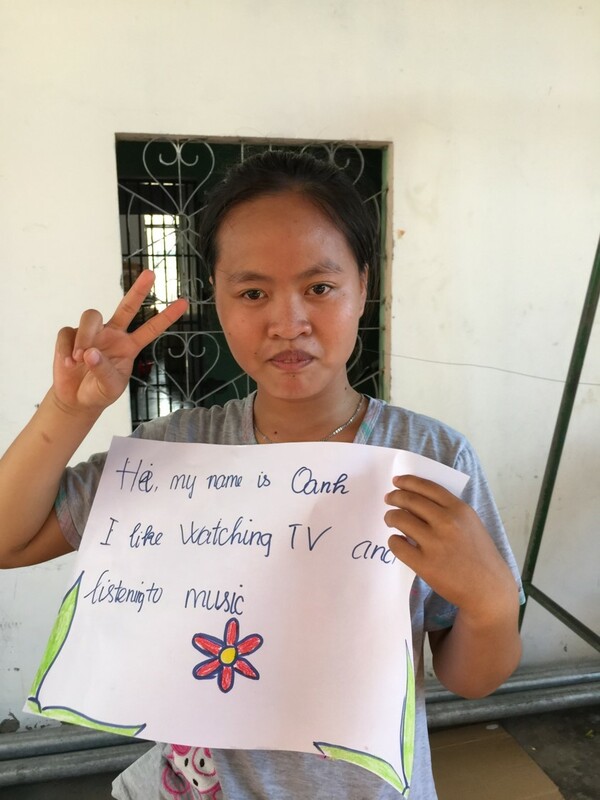 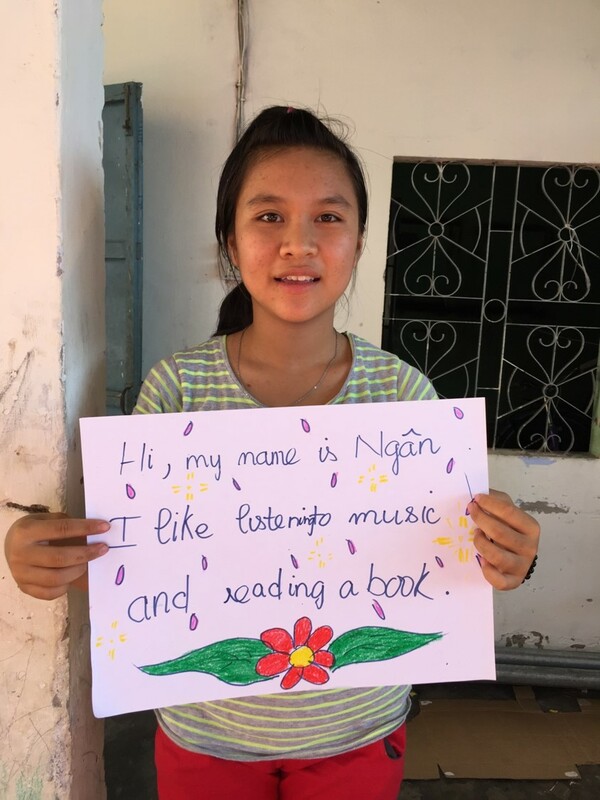 Mr. Khanh contacted Sister An Son at the orphanage to learn what their needs were, then went on a big shopping trip that required 2 cars to transport everything. 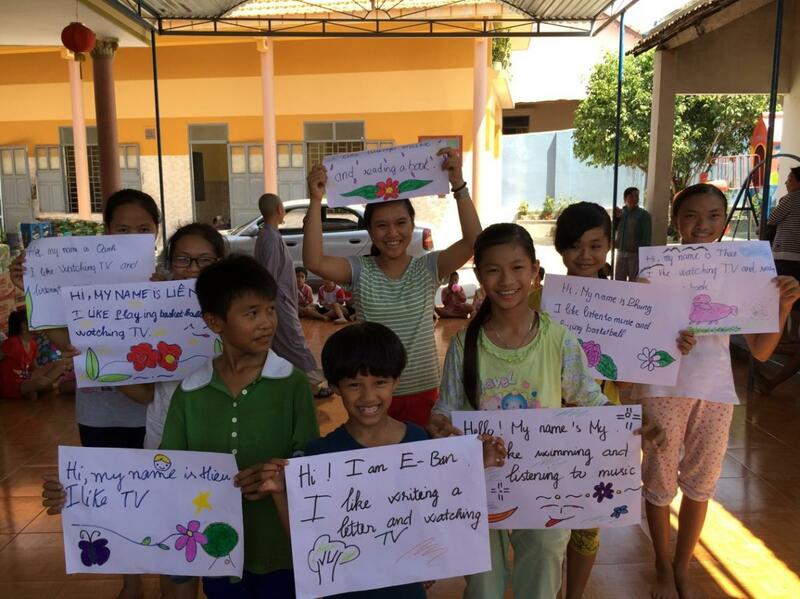 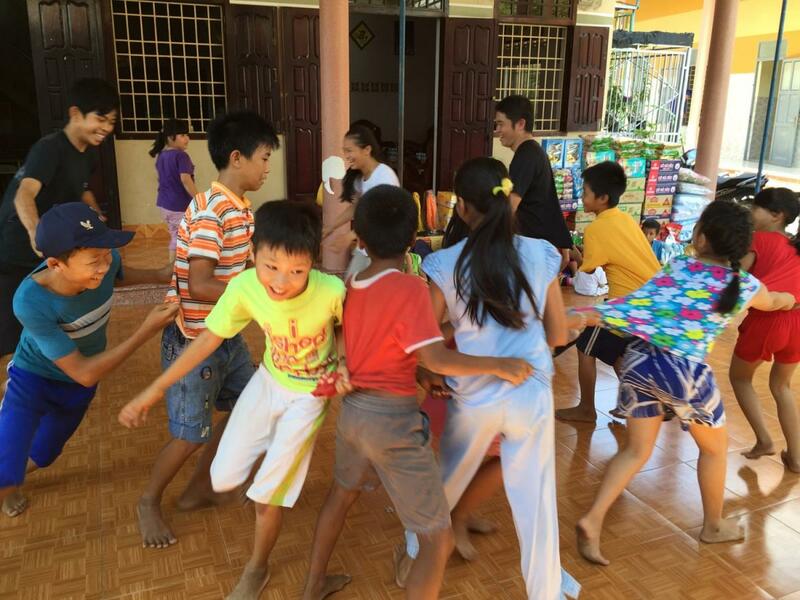 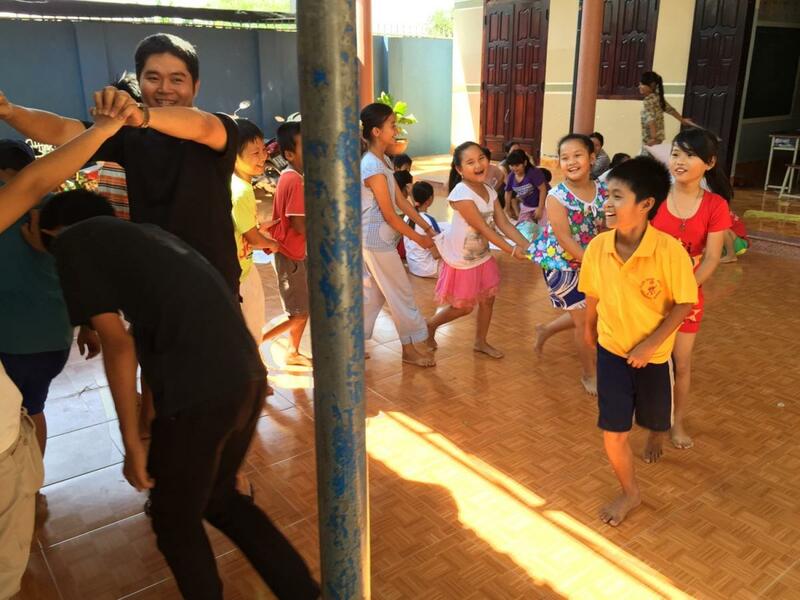 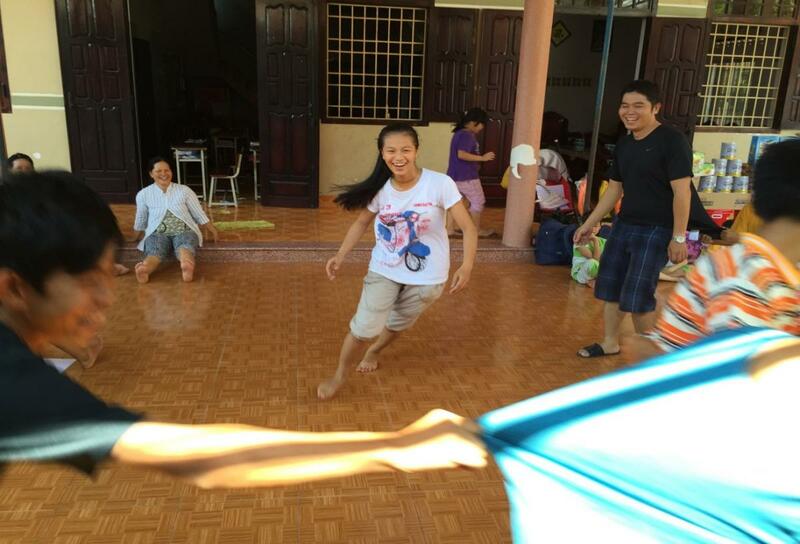 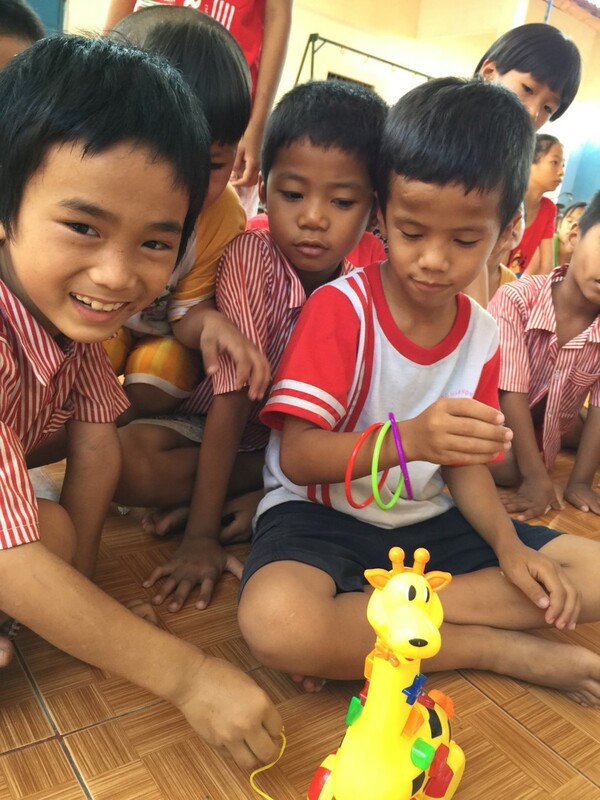 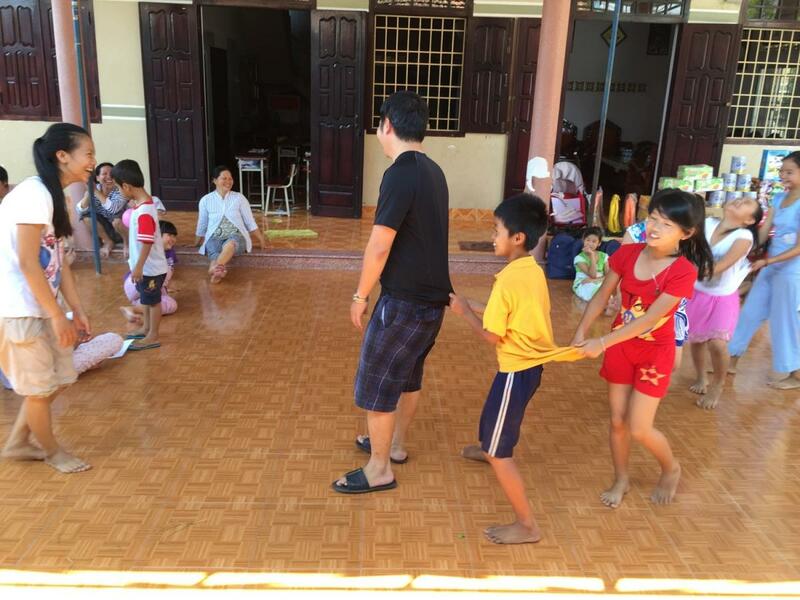 June 1st is Children’s Day in Vietnam, so Mr. Khanh made it a fun visit with lots of games for the kids. 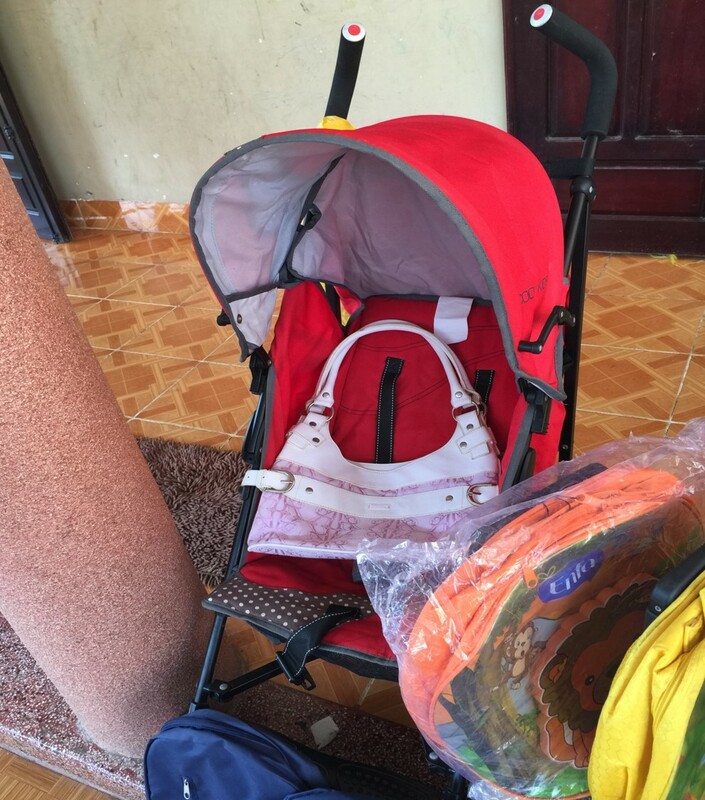 We brought instant noodles, bags of rice, soup powder, milk, baby formula, snacks, washcloths, diapers, detergent, pillows and pillow cases, backpacks, toys, and a stroller. 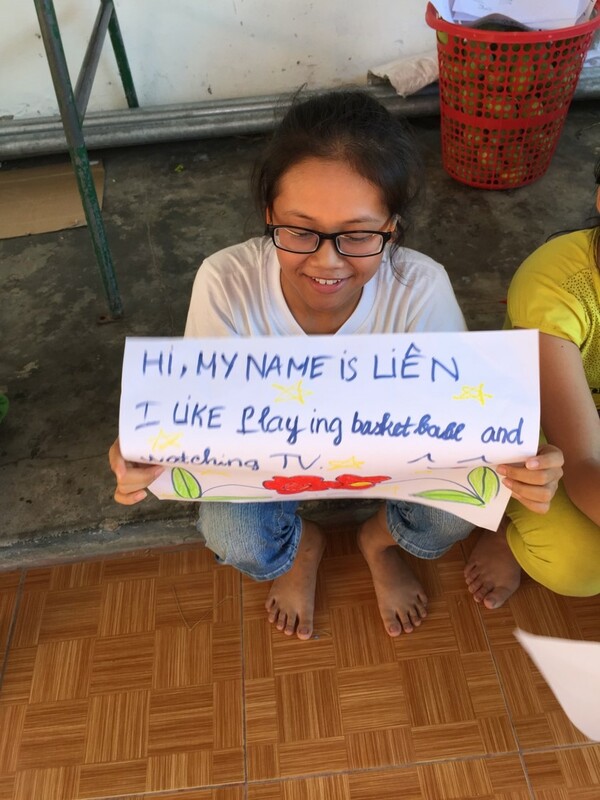 In addition to playing games with the children, we thought it would be fun for some of the children to introduce themselves. 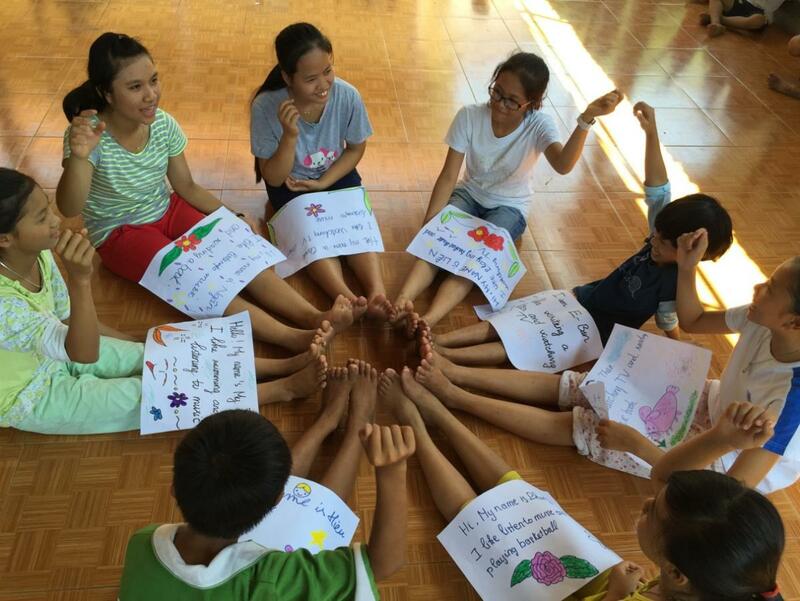 So they drew cards with their names and favorite pastimes. 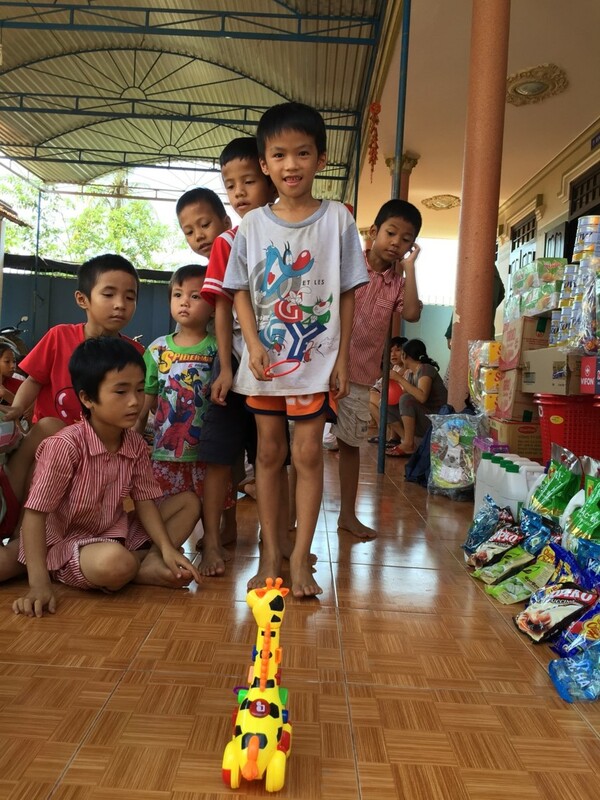 Thank you for making Children’s Day so special for the orphans!